Our IP68 rated Waterproof Mini LED Dimmer with RF Remote is an amazing 5-24VDC LED dimmer that provides smooth LED dimming from 5-100% as well as 8 built in flashing and strobe modes with speed adjustment. 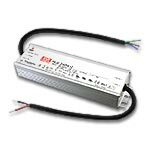 Don't let the small size fool you this controller boasts 12A of maximum output power or 60W at 5VDC, 144W at 12VDC, and 288W at 24VDC. 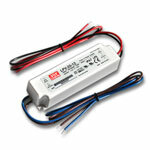 The bare wire leads make connecting your dimmer simple for any indoor or outdoor 5-24VDC Constant Voltage installation. The RF remote has a number of pre-set dimming levels for quick and easy dimming. 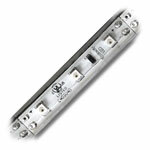 Dimming levels or current mode will be remembered when 5-24VDC is turned off and back on. An IP68 rating makes this product waterproof for any outdoor LED project but is not designed to be submersed or directly exposed to outdoor elements. 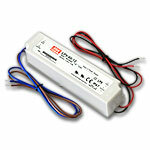 Each RF remote includes one 3V CR2025 battery for operation.